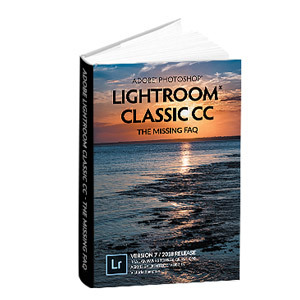 What's New in this Lightroom Release > Lightroom Classic Updates > What’s new in Lightroom CC 2015.4 and Lightroom 6.4? The Lightroom team have been busy working on performance, as well as a couple of other CC only improvements. Other smaller updates are listed with the bug fixes at the bottom of the post. Thumbnails now update much faster when you edit multiple images using sync or copy and paste, and Lightroom’s now much smarter about preemptively building 1:1 previews, which means they load much faster when you’re zoomed in and flipping through photos, even if they weren’t built in advance. Also, panoramas should merge about twice as fast as they did in Lightroom 6.3. Mobile users can now set the location and folder structure for photos added using Lightroom mobile or Lightroom web. You’ll find this in Preferences > Lightroom mobile. Crop the edges off – however you may crop important details in the process. Use Content-Aware Fill in Photoshop – this works well but may need additional retouching to remove artifacts and results in a large rendered file on your hard drive. Lightroom CC 2015.4 has a new feature in the Panorama Merge dialog – Boundary Warp. It analyzes the image and warps it to fill the empty space. It has a slider ranging from 0-100, so you can choose how far to warp the image, and it retains the editing flexibility of the original raw files. Supported Nikon cameras are now working again on Mac 10.11 El Capitan. Thank you Victoria for the update. I will wait a little bit before upgrading to see the comments from the web. I saw that some people are having problems after upgrading like Lightroom won’t start anymore. Sensible Jacques. Reports are looking good so far. The “Lightroom won’t start” appears to be a permissions problem in the user account, so easily fixed. Upgraded yesterday from 6.3 to 6.4 on my Notebook . It as least fixes video functionality that was completely broken in 6.3. They have had a few issues with the recent releases, but they seem to be getting back on track. Hi Vicky, Many thanks for this.. I updated and have done a download since the upgrades…. No problems at all. Things are great. This allows me to create my main RAW archives and keep them safe in My Documents.. If I have any trouble in Light Room or I lose the odd image in the Light Room set up, I simple remove that folder from Light Room and import again into Light Room..
Have never had any of the problems encountered by many people who import directly into Light Room from their storage media. That’s good news. People tend to lose files through misunderstanding how the import dialog works, rather than any fault of Lightroom, but it’s great that you have a system that’s working well for you. I should just note that removing a folder from Lightroom and reimporting loses the work you’ve done in Lightroom, so it’s a last resort. Using the Find Missing Photos instructions in last week’s blog post is a safer option. That’s very good news Andreas! The dreaded ball keeps spinning in Develop module when using the Adjustment brush tools. It was OK with 2015.3 . Think I may have to remove the update because it’s so maddeningly slow. Any suggestions? Many thanks. I am having the same problem with my Mac Book Pro. From develop when going to on-one, on- one opens ever so slowly, with no image. 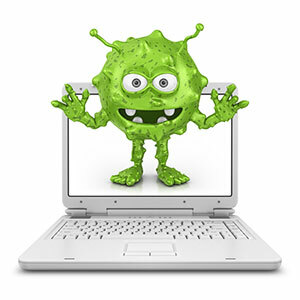 Guys, make sure you report it at the Official Feature Request/Bug Report Forum at http://feedback.photoshop.com/photoshop_family so the engineers are aware of it. Include your full system specs too, as it might be limited to specific hardware, as most people aren’t seeing the same issues. If it’s still stuck, you’ll have to force quit and try again – hopefully it’ll open straight up again without any issues. Then I’d test the catalog integrity and optimize it before trying to back up again. I just upgraded my perpetual licence to 6.4 and so far everything looks good. I must say that the preview are a lot faster than before. This is night and day. Thank you Victoria. That’s good to hear Jacques! I’ve just upgraded from LR 5.7 to to CC 2015.4 and now I have a problem with automatically renaming files from my Nikon D7200. Lightroom imports the files, but retains the DSC plus number format. I’m running on windows 8 laptop. Just out of curiosity I tried using different memory cards and my D3200, which worked fine in LR 5.7. I’m out of options now, anyone else had the same problem? That’s an odd one Dave! I’d try resetting the preferences https://www.lightroomqueen.com/articles-page/how-do-i-reset-lightrooms-preferences/ as a first port of call. Thanks, I’ll give it a try when I get back from holiday next week. I’ll let you know the outcome. Hi Victoria, I tried resetting the preferences on my mac and I still get the same problem. The file imports but won’t rename. I tried copying onto my mac desktop from the card and then imported, but still get the same issue. I think this is going to be a question for the forum (http://www.lightroomforums.net) where we can troubleshoot in more detail. Thanks Victoria, I’ve started a new thread in the forum. You state that the new boundary warp is CC only, and this is correct. But I have searched lots of web pages INCLUDING Adobe and they all suggest it is part of LR 6.4. Its really annoying that desktop users don’t get these updates and that Adobe cant get their communications sorted. 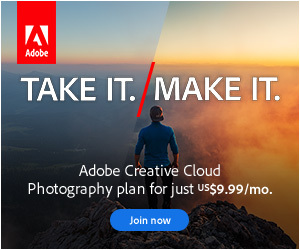 If you have links to the Adobe pages that suggest it’s part of 6.4, I’ll send them to the right team to get them fixed. Communication’s definitely never been their strongest point! What I would really like is a fair deal for desktop (6.4) users. I am afraid I don’t accept the reasons given for CC getting them first (accounting policy?) sounds to me like they want to ‘force’ users to go to CC; perhaps they make more profit from it! Sorry for the rant I just like fair play. However its a great product and your blog and books are the icing on the cake. I understand the frustration Geof, and I’m sure if they really wanted to, they could redo their entire accounting system to make it possible to offer new features between main releases, but to do so for a relatively small percentage of their userbase just isn’t economically viable. Instead, they chose to put the money into offering subscriptions at a much lower price than the old perpetual licenses. The perpetual license they offer is exactly the same as it’s always been – new features have to wait for the next paid upgrade. It’s just subscribers now get early access to what would be LR7 features, without having to wait for them. As with many things in life, you get to choose which option to purchase, but there are pros and cons with each option. It’s working correctly here on Mac. Which OS are you using? This morning it is working! I love problems that magically fix themselves! Me too, God is everywhere. Mirabile dictu, SoftProof RGB values are fixed! I just upgraded to 2015.4 (Win10), full of anticipation after seeing the promises of D7200 tether support, but mine STILL comes up with that frustrating ‘No camera detected’ – has anyone else successfully tethered their D7200 yet (on windows based LR)? If so – tell me what I’m doing wrong – pleeeze!! OK – I seem to have got it working (phew), at the cost of losing all my preferences – but I know which I’d rather have! Thanks anyway. Why is there a difference between what’s available for stand alone users and CC users?, surely we’ve paid for the product and should have the same?. You’ve put your finger on it… you’ve paid for the product “Lightroom 6” and all of the features it included at release. There are legalities and accounting procedures around revenue recognition that mean Adobe can’t offer new features without being paid for them in the financial quarter in which they’re released. This is the way it’s always been with Lightroom perpetual (standalone) licenses. The new CC-only features would be features of the next paid Lightroom upgrade (e.g. Lightroom 7, assuming there is one), but CC users are given early access to them because they’re paying on a monthly basis, and therefore don’t have the same issues with revenue recognition.